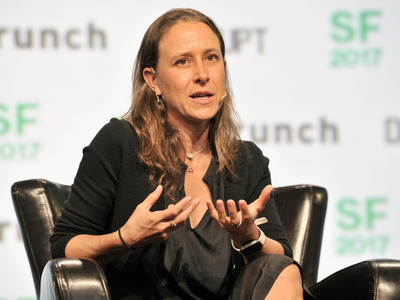 Anne Wojcicki, the CEO and founder of Silicon Valley’s most popular genetics testing startup, 23andMe, said this week that she hopes the company expands its current health offering lineup. 23andMe, which made headlines recently on the heels of a new $US300-million partnership with drug giant GlaxoSmithKline, currently offers health screenings for some of the genes involved in breast cancer, Alzheimer’s, and Parkinson’s. On Tuesday, Wojcicki said she hopes to add a new health offering that looks at how you process medications including those for depression. Albertsons pharmacies and gene testing startup Colour Genomics currently offer that kind of test for $US250-$US750, but many scientists say it’s not worth the money. That’s because the current gene testing kit – which includes health screenings for some of the genes involved in Alzheimer’s, Parkinson’s, and breast cancer – does not include a test that looks at how you process medications including those for depression. Those DNA tests, which assess genes involved in the break down of antidepressants in the body, are currently being offered by psychiatrists and Albertsons pharmacists in three major cities at a hefty price tag of $US750. Just last month, another Silicon Valley genetics testing startup called Colour Genomics began offering the test as part of its $US250 kits. And on Tuesday at a conference organised by Rock Health, one of Silicon Valley’s premier health-tech funding groups, Wojcicki said she hoped her company could include that kind of test in its product lineup soon. But many scientists feel the tests don’t offer a clear benefit to people and in some cases are not worth the money. Among other issues, the tests may give conflicting results to the same patient for the same medication and don’t tell providers which specific medication is best, according to experts. In the early days of 23andMe, the company included a test for depression medications in its lineup of health offerings, Wojcicki said. But in 2013, the Food and Drug Administration forced the company to stop selling those products and get federal approval on the grounds that the tests could be misinterpreted as health advice. The company was allowed to continue selling the genealogy component of its kit, which looks at ancestry. Last year, the FDA gave the company the green light to again sell some of its health screenings. 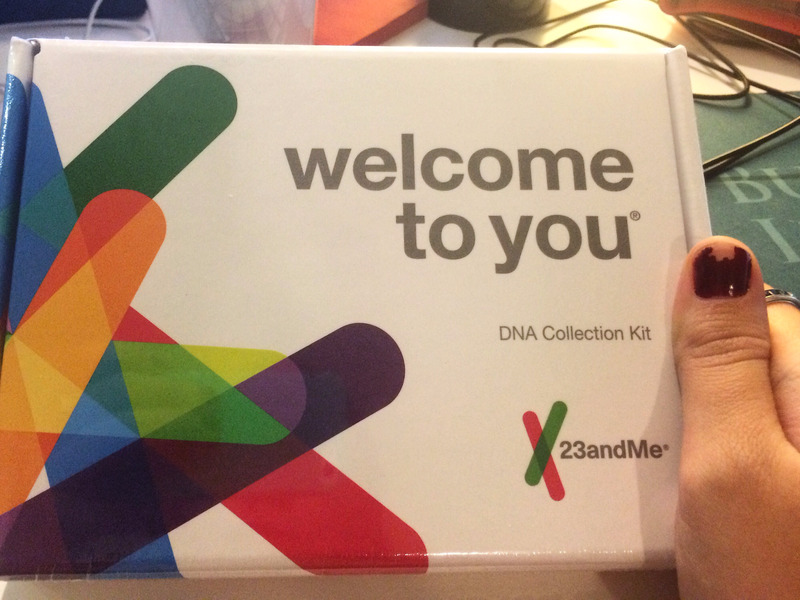 On the heels of that decision, 23andMe rolled out a limited selection of some of its original products. The most recent addition, unveiled in March, is a test for some of the genes involved in the risk of developing breast cancer, also known as BRCA genes. Now, the company is only missing one of those original health products, Wojcicki said: a test for depression medications, also called pharmacogenomics. “The only one we don’t have back yet is pharmacogenomics. We used to have that and we’d like to have that one come back,” Wojcicki said on Tuesday at a panel discussion at the Rock Health Summit in San Francisco. “When we can bring pharmacogenomics back, then we have a complete product back,” she said. It remains to be seen how the company would roll out such a test. Because 23andMe sells its tests directly to people (they can be purchased online and at a selection of drug stores), it would need to get FDA approval before selling an additional health product. The test could be incorporated into the existing health lineup, which currently includes tests for Alzheimer’s, Parkinson’s, and breast cancer for $US199, or it could be sold as a stand-alone test. Colour Genomics chose to incorporate its new pharmacogenomics product into its existing $US250 test. Unlike 23andMe, which sells its services directly to consumers, Colour requires people to order their tests through a medical provider. In addition, the company mandates talking with a professional genetics counselor and a clinical pharmacist to avoid potentially dangerous misinterpretations of the results. Genomind and Assurex, the two companies who offer a standalone pharmacogenomics product, sell the test through psychiatrists and some pharmacists for $US750. Wojcicki did not provide further details on how much the test – should the company ultimately choose to offer it – would cost or when it would be available. A company representative also declined to offer Business Insider more information about the test. But Wojcicki said she saw the pharmacogenomics service as part of the company’s overall mission to help empower customers with more data about themselves and prevent negative health outcomes when possible. “I think one thing genetics can do is help prevent a lot of early deaths,” Wojcicki said.